Suffolk County Police Second Precinct and First Precinct officers responded to a school bus crash this morning in Dix Hills during which students and adults were injured. Dix Hills, NY - February 13, 2015 - Suffolk County Police Second Precinct and First Precinct officers responded to a school bus crash this morning in Dix Hills during which students and adults were injured. A box truck was traveling southbound on Deer Park Avenue in Dix Hills when the truck collided with a school bus traveling eastbound on Seaman Neck Road at 7:50 a.m. The 24 high school students on the bus, along with the bus driver and an attendant, were transported to area hospitals by the Dix Hills, Melville, West Babylon and Commack fire departments as a precaution and for minor injuries. The driver of the box truck and his passenger were also transported with minor injuries to area hospitals. 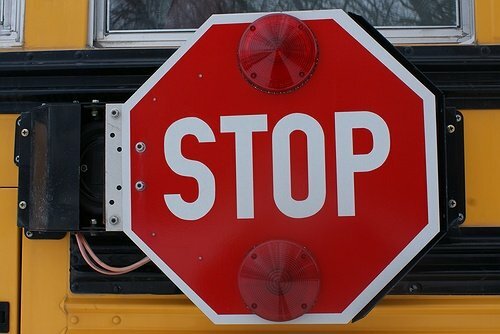 The bus was traveling from Copiague High School to Wilson Technical Center in Dix Hills. The vehicles were impounded at the scene by the Suffolk County Police Department Motor Carrier Safety Section. The investigation is continuing. Subject: LongIsland.com - Your Name sent you Article details of "High School Students Injured in Dix Hills School Bus Crash"